Sometimes the person you're meant to be with is standing right in front of you. Beth Bennett’s life is perfect. She’s convinced she has it all—the world’s best friend and the world’s best boyfriend. Now if only she could get the two to get along. With her spring break trip to Aspen just around the corner, Beth feels the pressure to spend time with both the guys in her life. But as usual, her older sister throws a wrench into Beth’s plans by hijacking her perfect spring break with a shotgun wedding. As Beth scrambles to balance being a girlfriend, best friend and sister, her perfectly planned life spirals out of control. As always Parker is there to catch her. And when Beth’s boyfriend decides he’d rather go skiing than be her wedding date, Parker steps in to take his place. He decides the wedding is his big chance to tell Beth how he feels. What does he have to lose . . . besides the girl of his dreams? Who will Beth choose? 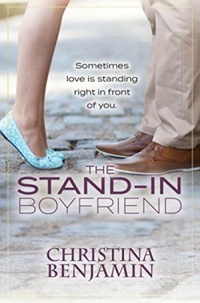 Her boyfriend, or the boy who’s never let her down?